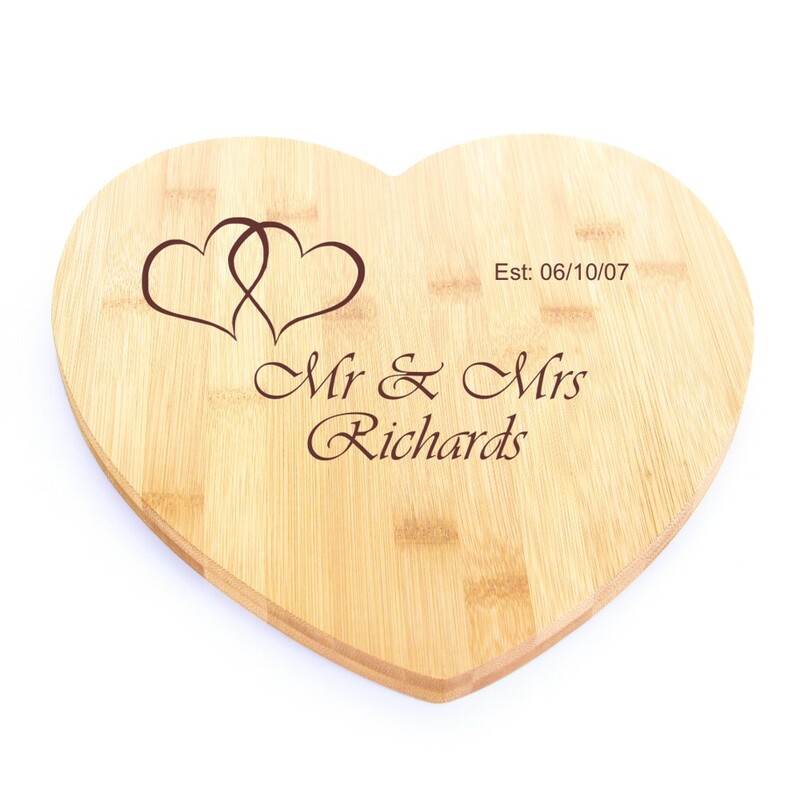 Personalised Engraved Bamboo Wooden Heart Chopping Board. An amazing bamboo wooden chopping board. It measures 30 x 28 x 1.5cm and comes with a choice of images laser engraved. All you need to do is let us know the personalised text you would like engraving and your choice of image.